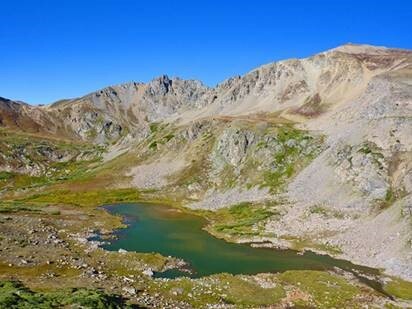 CORE News — CORE Consultants, Inc.
With Colorado’s growing population, sustainable water practices only make sense! 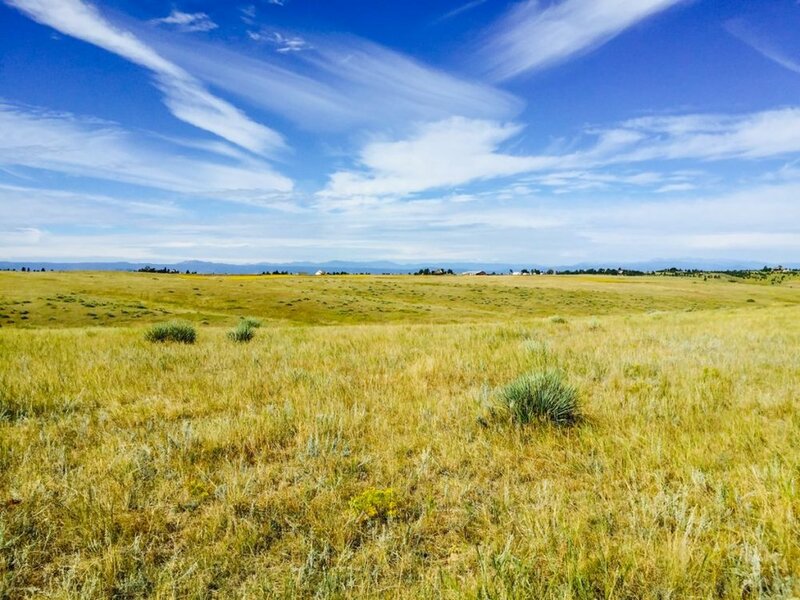 We’re thrilled to be part of Independence—Colorado’s first conservation community. Learn how sustainable water practices are making this community viable in this great article from Water Education Colorado. CORE is proud to be providing civil engineering, natural resources and land surveying services for Independence. October 30, 2018 – Littleton, CO – CORE Consultants, Inc. (CORE), a Colorado-based civil engineering, natural resources, and land surveying firm, was honored as the #6 fastest-growing Denver-area private company (Medium) by the Denver Business Journal at their Fast 50 reception on October 24. CORE was a table sponsor at the event and was represented by twelve team members who accepted the award on Wednesday evening. The CORE team accepts the award for the 6th fastest-growing Denver-area private company (Medium) at the Denver Business Journal’s Fast 50 Reception. From left to right: Jennifer Kraus, Tom Girard, Andy Reynolds, Elna Smith, Dave Forbes, Rob Hansen, Wendy Clasen, Lauren Kirschbaum, Asa Miller, Tina Brazil. The Denver Business Journal’s Fast 50 ranks the Denver area’s fastest-growing private companies based on the percentage of growth for fiscal years 2015, 2016 and 2017. CORE came in at a whopping 108.77% growth and was ranked #6 in the medium-sized company category. Blake Calvert, Principal, President & CEO of CORE, sat down with the Denver Business Journal to discuss the firm’s exponential growth. “When we started CORE in 2014, our aim was for a slow burn. We had a plan to grow to 25 people in 3 or 4 years, and we have more than doubled that!” said Calvert. “Because of the hot economic climate in Denver and overwhelming support from our client-base, we’ve accelerated our growth to a rapid heat in order to capitalize on the opportunity and meet market demand.” Portions of Calvert’s video interview were featured at the Fast 50 Reception and on the Denver Business Journal’s website. The Fast 50 honor was the second growth-oriented award for CORE. 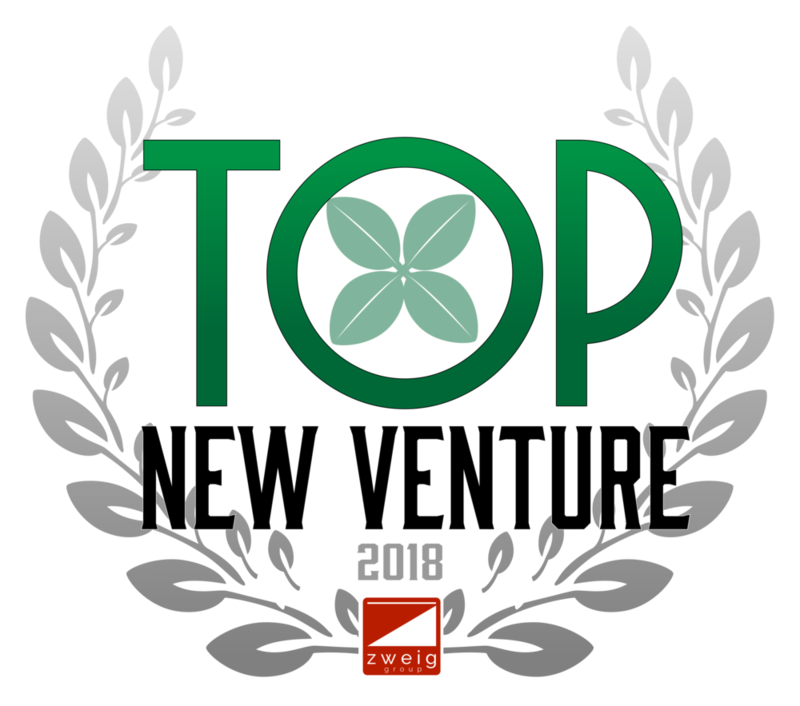 In September, the firm was named as Zweig Group’s 2018 #1 Top New Venture. About CORE Consultants, Inc.: CORE Consultants, Inc. (CORE) is a professional services firm based in Littleton, Colorado. The firm offers civil engineering, natural resources and land surveying services in the residential, commercial, energy and public sectors throughout Colorado and the West. Founded in 2014, CORE has worked to create a unique culture that empowers employees to live their passion and challenge the status quo in the industry. The firm has experienced exponential growth over the past four years and has been recognized both locally and nationally by Inc. Magazine, Zweig Group, Denver Business Journal and ENR Mountain States. To learn more about CORE, visit CoreCivil.com. Littleton, CO – CORE Consultants, Inc. (CORE), a Colorado-based civil engineering, natural resources, and land surveying firm, was recognized as the #1 Top New Venture at Zweig Group’s Hot Firm Conference in Dallas, TX last week. Zweig Group’s Top New Venture is the newest honor in their prestigious A/E Industry awards. The award was judged on a number of factors including revenue growth, culture and making a positive impact on the industry. Blake Calvert (right), CORE President & CEO accepting Zweig Group’s Top New Venture Award from Mark Zweig (left) at the Hot Firm Conference in Dallas, TX. The Top New Venture Award comes at the heels of a number of local and national recognitions for the Colorado start-up. In June, CORE was ranked as one of Zweig’s 2018 Best Firms to Work For (#29) and Denver Business Journal’s Best Places to Work (#8 – Medium Company). In August, CORE was ranked #878 on the prestigious Inc. 5000. CORE has also been named as a finalist for Denver Business Journal’s Fast 50—the 50 fastest growing Denver-area companies which will be honored in October. About CORE Consultants, Inc.: CORE Consultants, Inc. (CORE) is a professional services firm based in Littleton, Colorado. The firm offers civil engineering, natural resources and land surveying services in the residential, commercial, energy and public sectors throughout Colorado and the West. Founded in 2014, CORE has worked to create a unique culture that empowers employees to live their passion and challenge the status quo in A/E Industry. The firm has experienced exponential growth over the past four years and has been recognized both locally and nationally by Inc. Magazine, Zweig Group, Denver Business Journal and ENR Mountain States. To learn more about CORE, visit CoreCivil.com. To learn more about Zweig Group and the Top New Venture Award, contact Kyle Ahern at (479) 435-6519 or kahern@zweiggroup.com or visit zweiggroup.com. 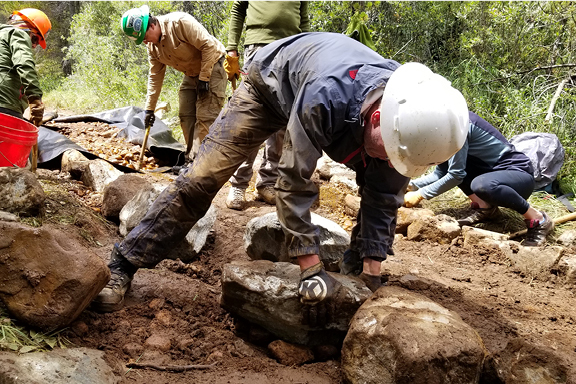 On August 18-19, 2018, thirteen members of the CORE family spent their weekend working on a trail restoration project at South Park Trail located off Guanella Pass. 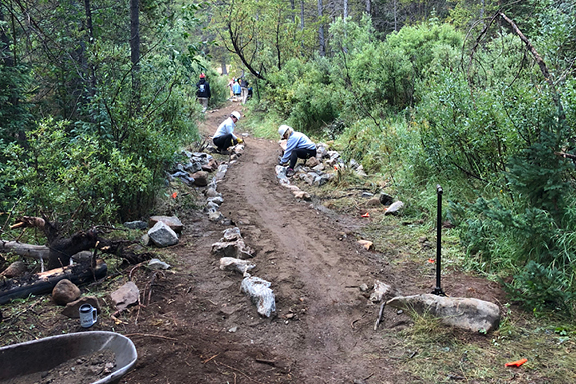 The restoration included repairing a perennially wet area of the trail that was in a state of disrepair due to erosion and foot and horse traffic. The CORE team, along with several other volunteers, worked together to build an elevated trail surface known as a turnpike to prevent the area from becoming permanently saturated. The South Park Trail restoration project was a not only a way to give back to the community, but an extraordinary team building opportunity that brought CORE employees together. 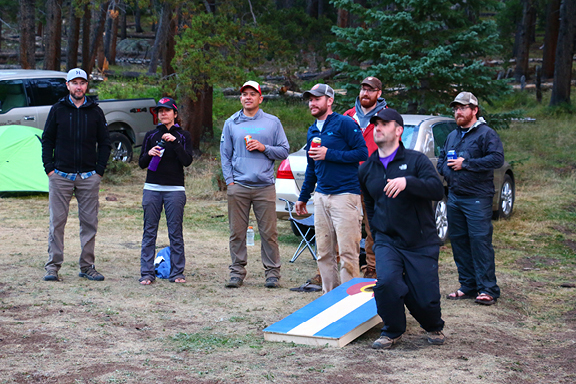 In addition to the trail maintenance, the CORE team enjoyed camping, meals, drinks, and corn hole over the two-day event. CORE is passionate about giving back to the community and encourages employees to volunteer with organizations that have meaning to them. All CORE employees receive two paid volunteer days annually. Since 1984, Volunteers for Outdoor Colorado (VOC) has been motivating and enabling people to become active stewards of Colorado’s natural resources. To learn more about Volunteers for Outdoor Colorado, visit www.voc.org. NEW YORK, August 15, 2018 – Inc. magazine today revealed that CORE Consultants is No. 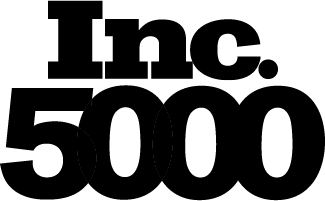 878 on its 37th annual Inc. 5000, the most prestigious ranking of the nation’s fastest-growing private companies. The list represents a unique look at the most successful companies within the American economy’s most dynamic segment—its independent small businesses. Microsoft, Dell, Domino’s Pizza, Pandora, Timberland, LinkedIn, Yelp, Zillow, and many other well-known names gained their first national exposure as honorees on the Inc. 5000. Now this is something to celebrate… CORE was ranked #8 in the Denver Business Journal’s prestigious Best Places to Work List in the medium-sized company category! Finalists were announced in May, and awards were presented at a special reception held on June 20, 2018. Interested in working for CORE? We’re a team of engineers, scientists and land surveyors with a passion for Colorado and the communities where we live and work. We work hard, play hard, innovate, learn and challenge ourselves every day. We’ve built a culture that embraces a healthy lifestyle and empowers our employees to make a difference in the office and in our community. We’re committed to taking care of each other and living our best life! CORE offers generous health benefits and paid time off, Opt Outside Program ($500 annual reimbursement for outdoor gear, ski passes, etc. ), paid volunteer days, wellness program, monthly catered lunches and happy hours, flexible schedules, telecommuting, RTD FlexPass, professional development, fully stocked drink refrigerator, and numerous company sponsored events. 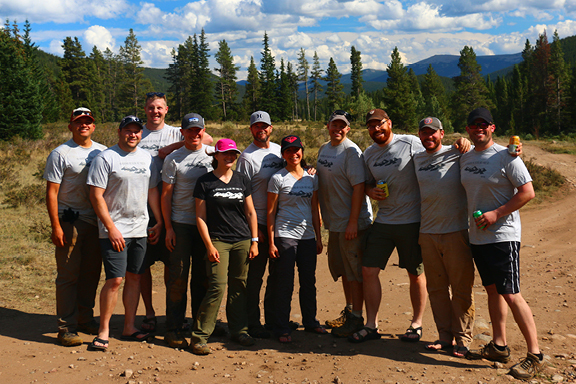 CORE employees are passionate about the outdoors and giving back to Colorado. 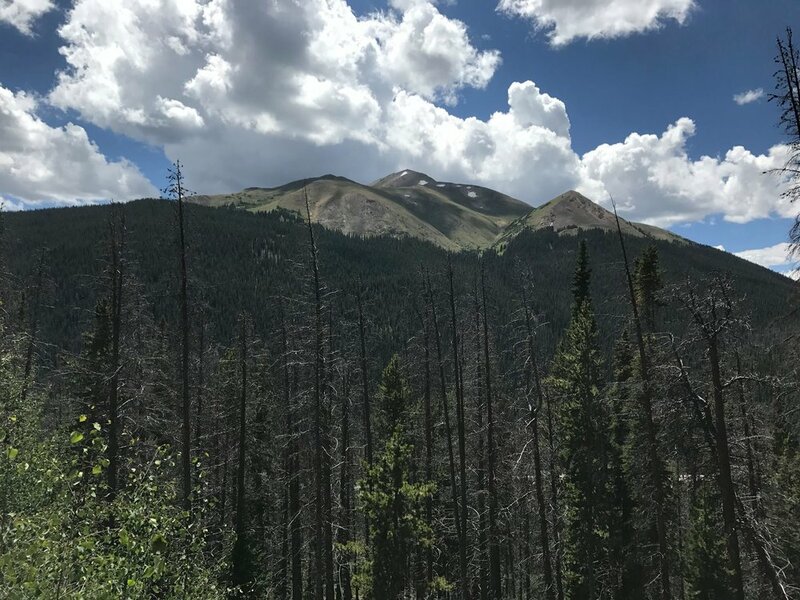 Fourteen CORE employees & family joined the Volunteers for Outdoor Colorado (VOC) on the Herman Gulch Trail on August 12-13, camping the night along the Boomerang Trail at the Loveland Ski Area (VOC basecamp for the project). All VOC crews were able to install or repair 37 drainage structures, install 5 rock steps and 28 straw wattles and close 100' of social trail. All at 11,000 feet of elevation! 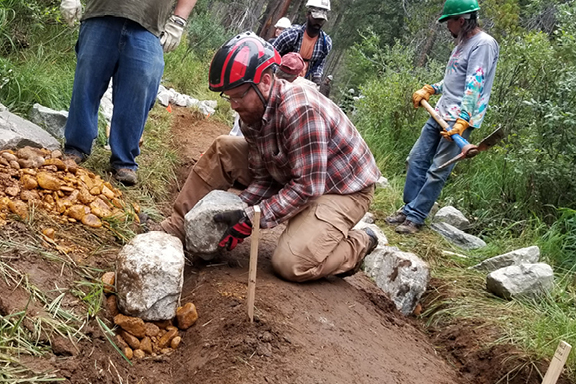 The efforts totaled 2300’ of trail maintenance and will help maintain and sustain the popular Herman Gulch Trail along I-70. CORE's culture encourages all staff to give back to the community and organizations they are passionate about. All CORE employees receive 2 paid volunteer days annually. The CORE team toasts the #greatamericaneclipse with Sun Chips and Champagne! Good time! Bike to Work Day 2017! CORE team members celebrate Bike to Work Day 2017! About 1/3 of the Littleton office commuted by bike a combined 200+ miles Wednesday. All fueled up with complementary breakfast burritos and T-shirts at the office. Thanks to all that joined in!